Route. 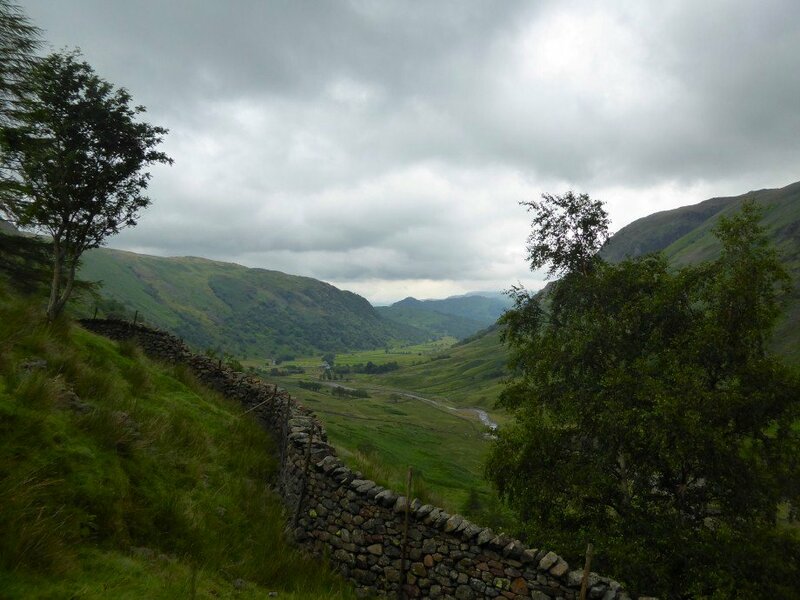 Seathwaite - Stockley Bridge - Styhead Tarn - Sprinkling Tarn - Seathwaite Fell - Sprinkling Tarn - Grains Gill - Stockley Bridge - Seathwaite. 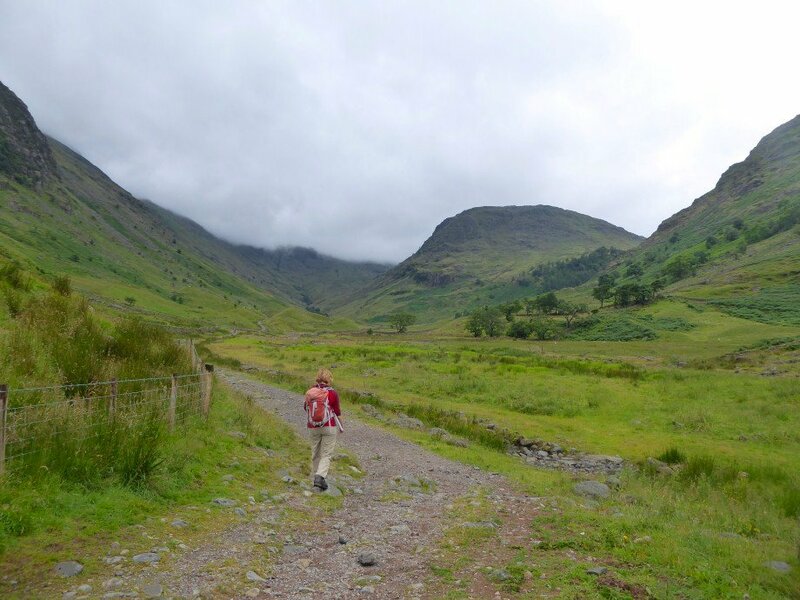 Showers are forecast but it's dry as Sue, Lynn and I set off from Seathwaite along the well used route to Styhead. 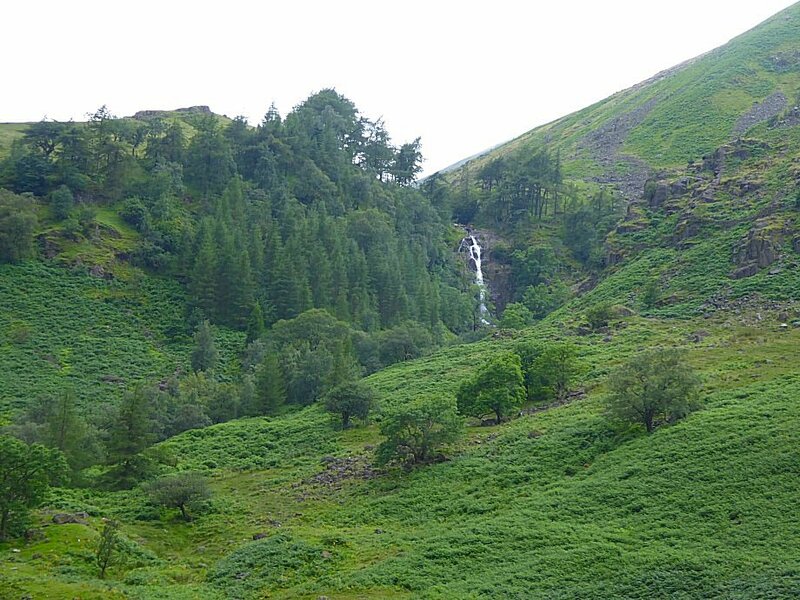 Plenty of water coming over Taylorgill Force. 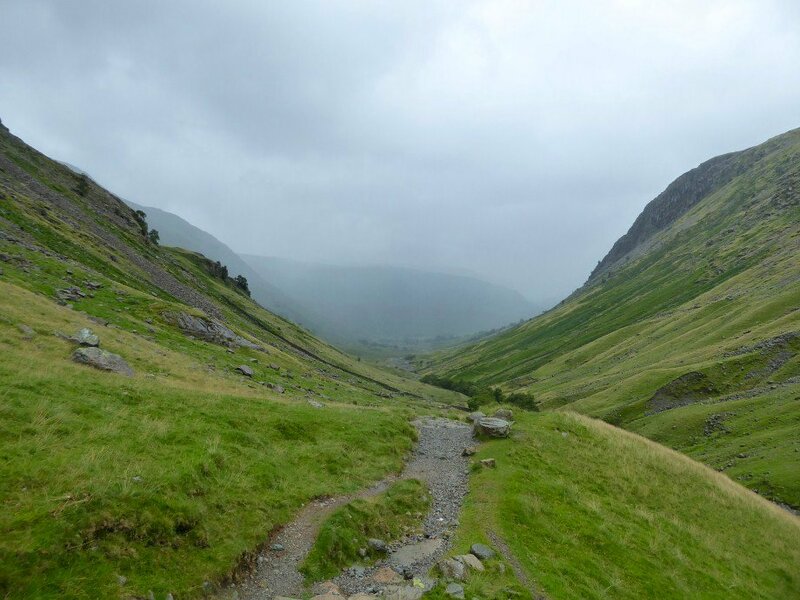 The paths are very wet but it's still fine as we near Styhead. 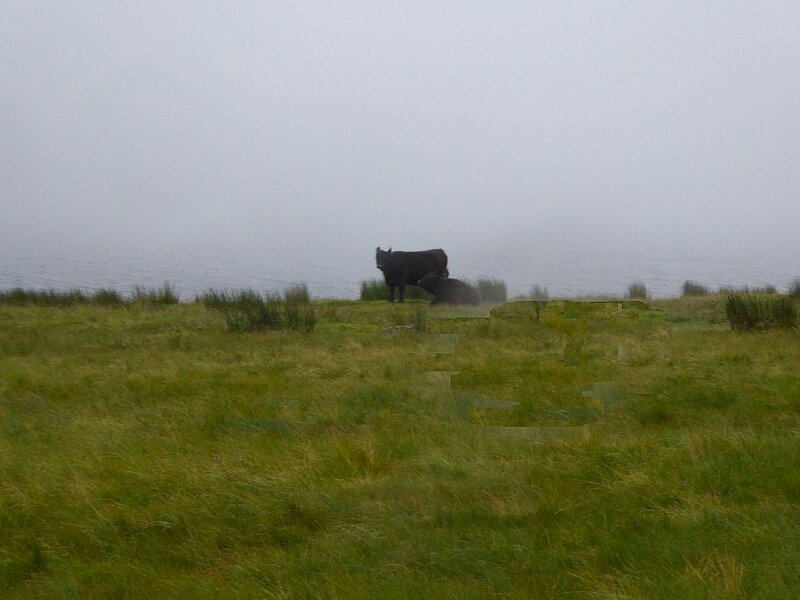 Cows by Styhead Tarn. 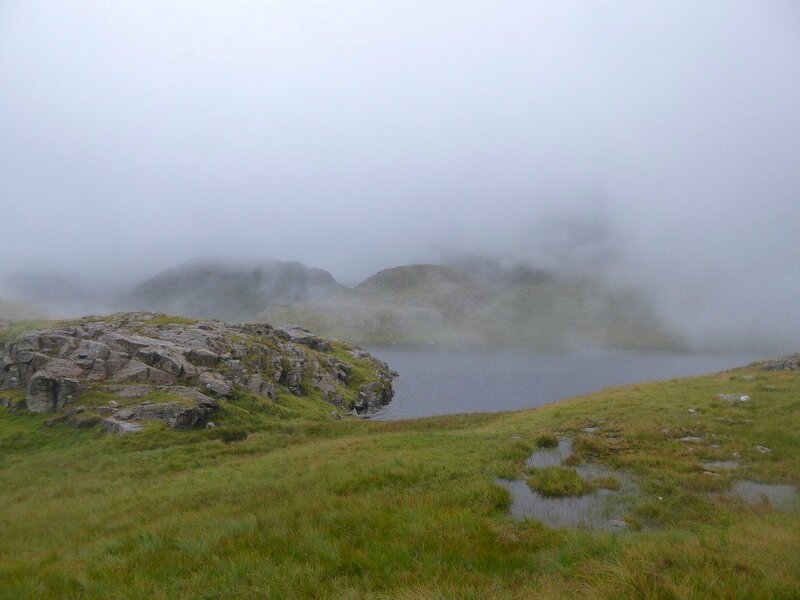 Not that we saw much of the tarn as the mist and the rain came rolling in. 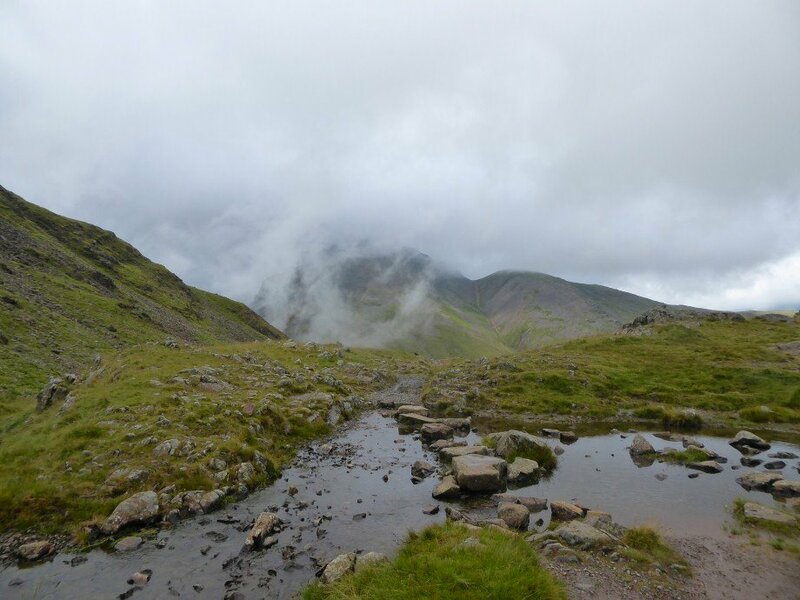 The cloud did lift for a few minutes as we passed Sprinkling Tarn. 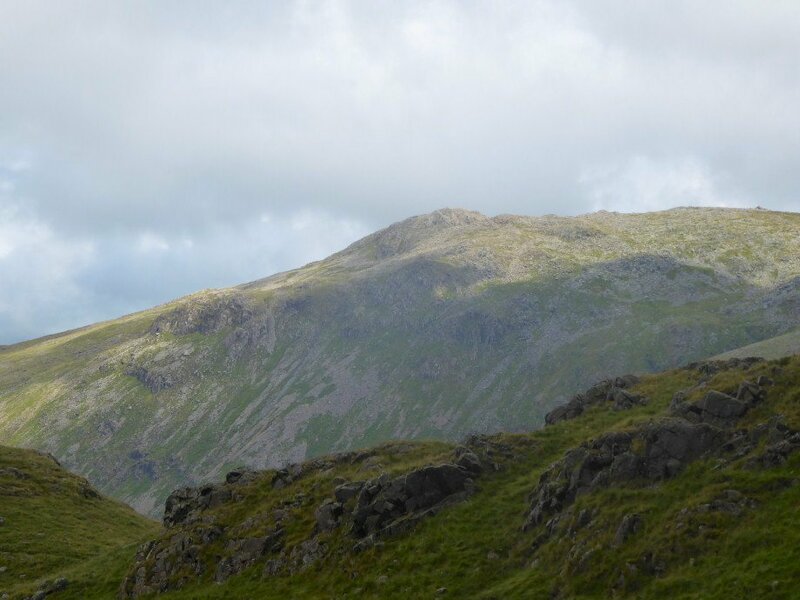 But soon returned as we reached the Wainwright top of Seathwaite Fell. 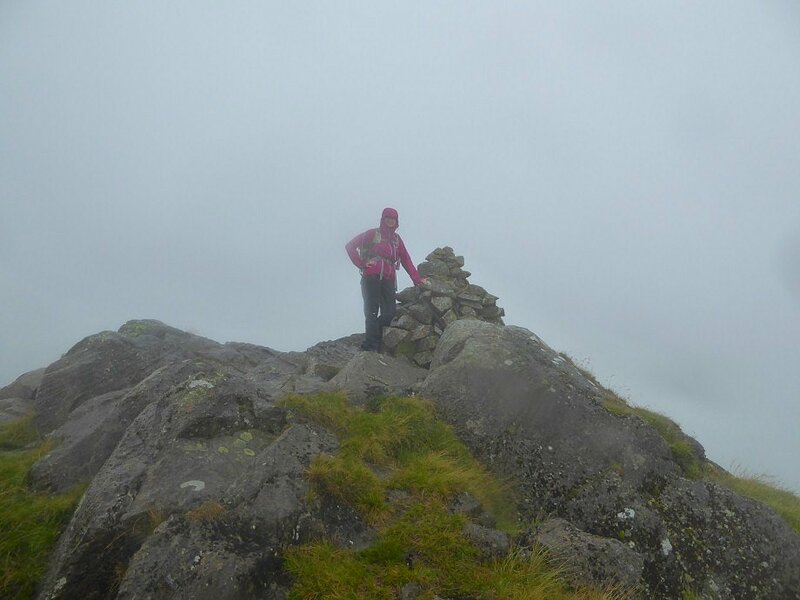 Sue at the cairn. But no views at all. 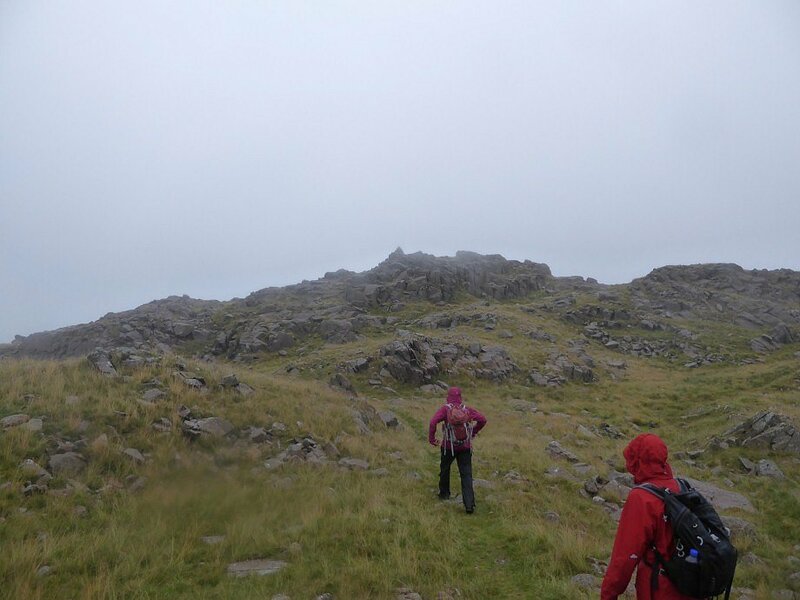 Then as seems to happen frequently the cloud lifted after lunch and we had a couple of hours of decent weather. 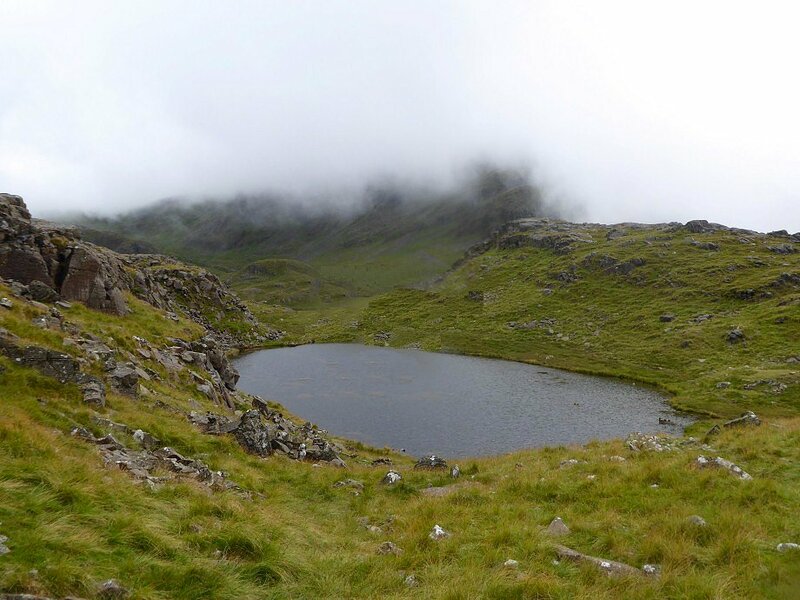 This is the nameless tarn found by the path just before Sprinkling Tarn. 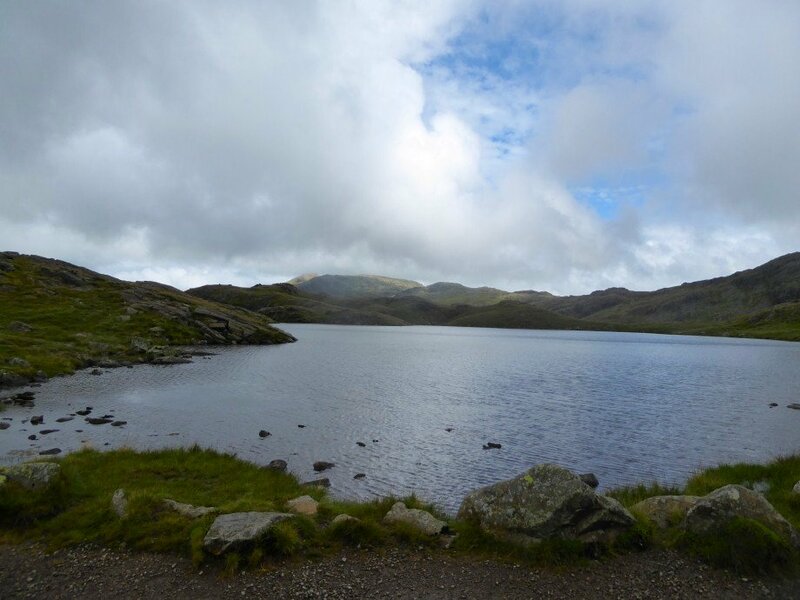 Sprinkling Tarn and even a bit of blue sky. The cloud was doing it's best to clear the Gables. 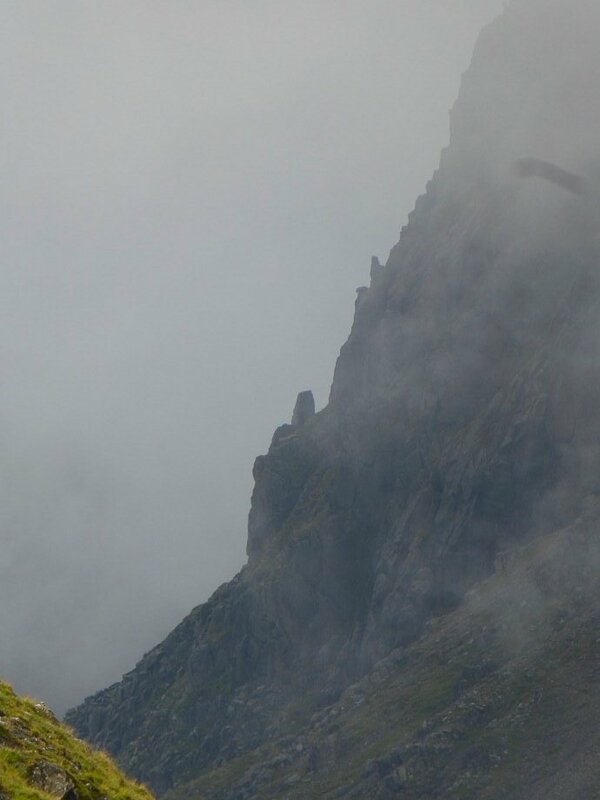 I think this is Napes Needle. 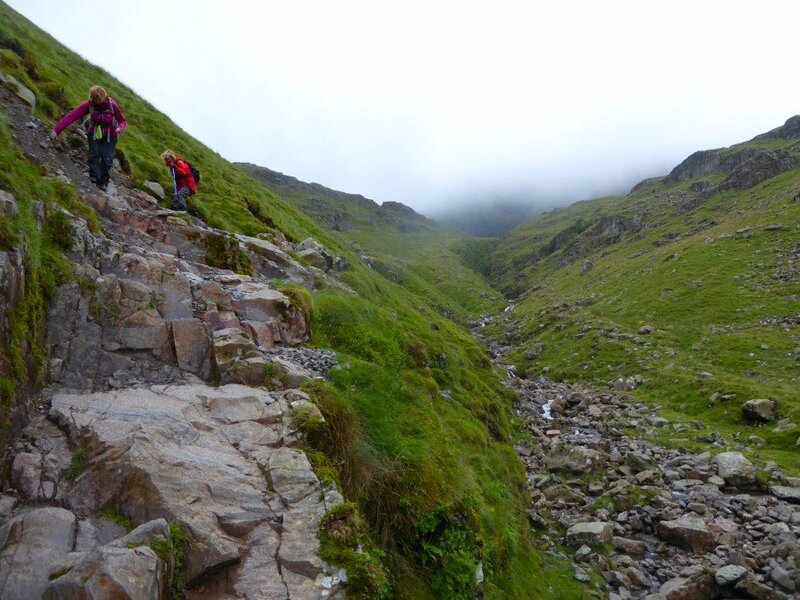 Heading down the Grains Gill path. Great End behind. 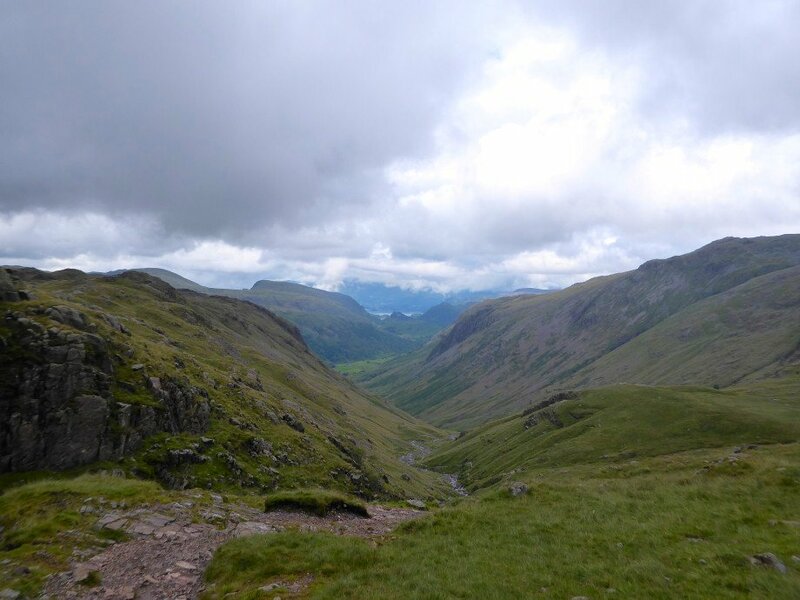 A much clearer view back to Seathwaite now. 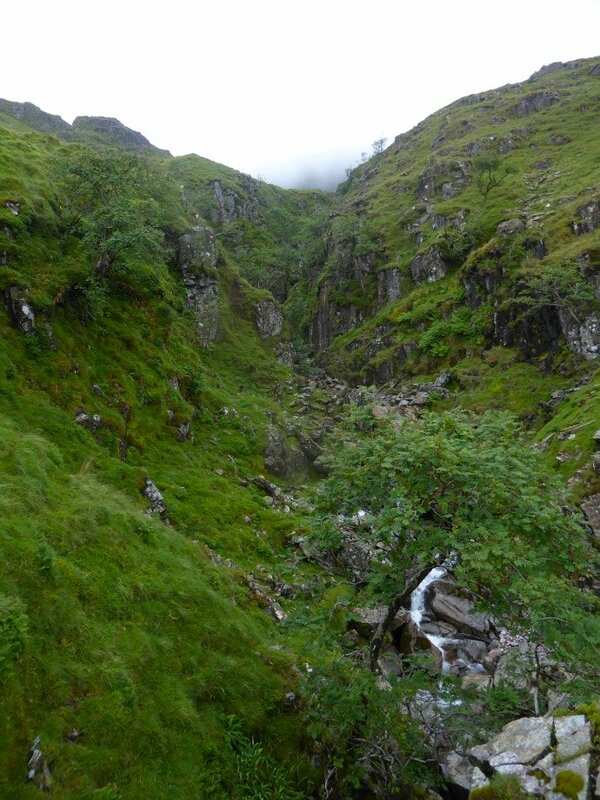 The ravine of Grains Gill. 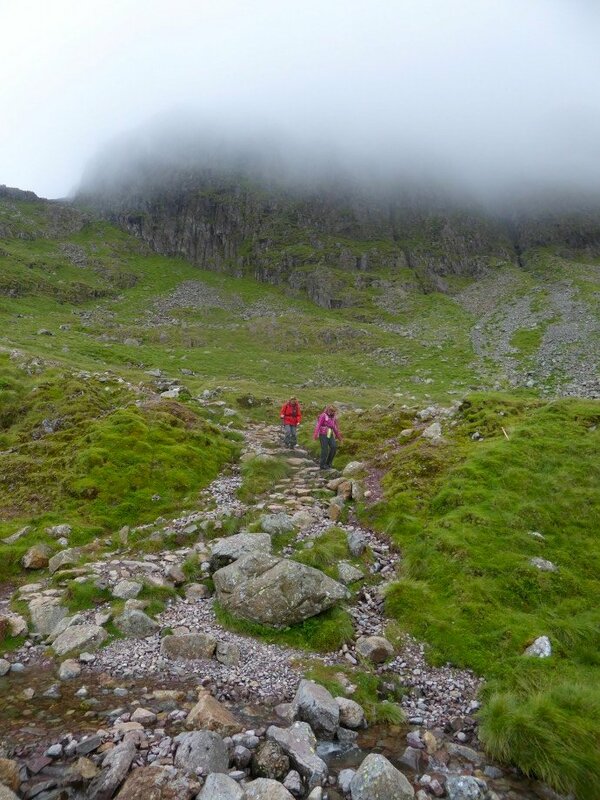 This is a path that you can't really descend quickly, as there are several little rock steps that need care especially in wet weather. 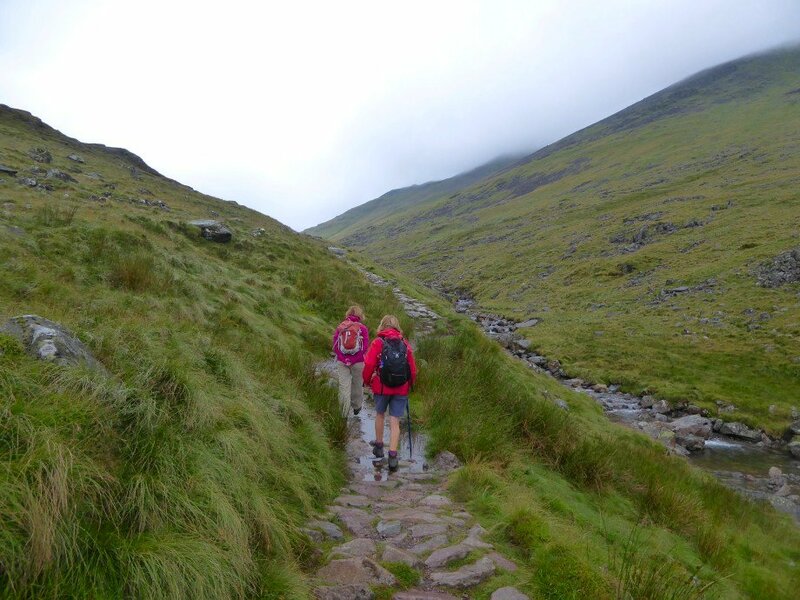 Eventually though the path improves and you soon back to Stockley Bridge.